I want to begin “Essence of Time” with figuring out what the essence of our time really is. Conversations about time are a well known and key component not just of historical literature, but also of fiction and philosophical literature. I could also add the New Testament here, because it is here where it is said, “But this is your hour, and the power of darkness”. I wish to discuss, first and foremost, the degree to which the time which we live in is catastrophic. The Bolsheviks were a closed and cohesive community, which contained in itself a genome, from which a future system could unfold, and it ended up at the right place when everything came crashing down. A cohesive community overcame this catastrophe; in a manner of speaking, it was a sect, a secular sect, a red sect; call it what you will. I speak of it in a positive light because it was this sect which saved everything, containing in itself a new great ideal, new possibilities, and a new truth. A truth which was wildly concordant with Russia, with the Russian people, with the dreams which the peasantry hid deep out of sight. At first glance, this is called chiliasm, the dream of the Millennial Kingdom, the Kingdom of God on Earth, but this is only at first glance. Perhaps, it was even deeper. The Great Far East is developing rapidly, and it will challenge the might of the United States. No one will ever dare to wage a direct nuclear war against China. “Team B-2”, led by Wolfowitz, discussed this, and it said that the deadline for waging such a war was 2017. The only possible decision will likely be made: to throw the entire might of The Great South against this Great Far East. Now tell me frankly and in all honesty: where is the place for Russia here? 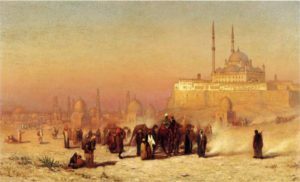 Louis Comfort Tiffany, “On The Way Between Old And New Cairo, Citadel Mosque Of Mohammed Ali, And Tombs Of The Mamelukes”, 1872. If we are to talk about what the enemy did with Russia; then of course, he tried out technologies on it, meant to reverse historical time. 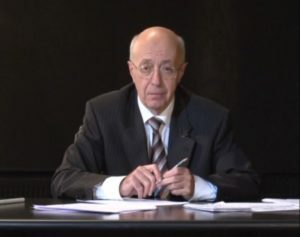 Remember, long ago Georgi Dimitrov yelled at his trial, “The wheel of history moves on… and neither any measures of extermination, nor prisons or death sentences will be able to stop this wheel!” But they managed to stop and to reverse it! When they “broke the spine”, when they “threw time out of joint”, time went into reverse. And it is moving in the opposite direction. We are falling into new middle ages, which is not the Middle Ages in their higher sense, because the Middle Ages were moving in an ascending historical current, while we are moving in a descending one. We will fall into slavery, which also will not be slavery in the strict sense of the word, because the slavery of ancient times moved in an ascending current, while the present-day slavery will move in a descending one. 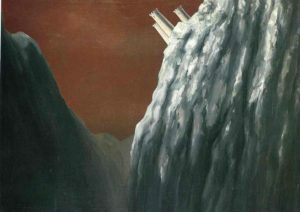 Rene Magritte, “The Perfume Of The Abyss”, 1928. Since humanity alienates its essence from itself in capitalism, then, having lost its essence, humanity will lose its unity. And having lost its unity, it will sooner or later arrive at the idea of a multi-tiered humanity. 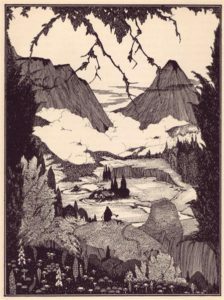 And the idea of a multi-tiered humanity, where the unity of the species will be negated (which will constitute a new and much more sophisticated variety of fascism) will, sooner or later, demand gnostic metaphysics, which has “pneumatics”, who are the supreme form of humans, who are driven by the spirit, by creativity, by intellect; “psychics”, who are driven only by emotions; and “hylics”, who are driven only by the body, only by food, and the like. Humanity will cease to exist as a unified whole. Because no one stops a chicken farm manager from reducing the number of chickens, if this would benefit the farm or poultry consumers. Why is it then forbidden to reduce the number of hylics, if there is no need in them? What opposes this idea? If one root, which we have now unearthed, is gnostic, then we need another one. And clearly, it is chiliastic. Clearly, communism takes its deepest roots in the chiliastic dreams of the Millennial Kingdom of Humanity, of a life of justice and solidarity, of the Kingdom of God on Earth. Then we need to study these roots. 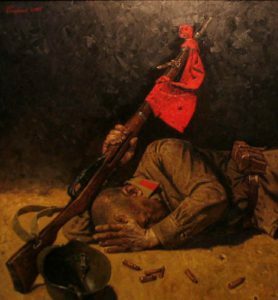 Nikolay Kolupayev, “The Banner of Victory, 1945”. The ruling class of a given country needs a powerful state, because it has to endure competition from other ruling classes. It needs a strong and educated worker; it needs a strong soldier. And this is the meaning of Marx’s formula, that capital creates its own gravedigger. But if capital, the ruling class, reads Marx and understands what is written, then it can scratch its head and ask itself: “And why should we move in the ascending current of history; why should we create our own gravedigger, when we can control regress, turn back historical time, suppress social potentials, primitivize society, work not as assemblers, but as destroyers, dispersers, and thus prolong our historic time?” In this lies the essence of this time, and this is why it is fair to address it with the great words: “this is your hour, and the power of darkness.” This is what the minority is busy doing. 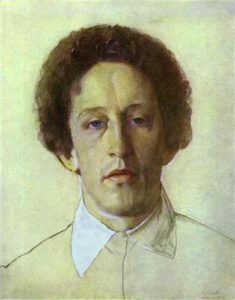 Portrait of Aleksandr Blok by Konstantin Somov, 1907. It is as though his poem was written today, not a hundred years ago. Not only is it amazing, but it also gives a certain hope. Because if we managed to prevent the dragon’s gaping jaws from devouring the world a hundred years ago, then perhaps we will manage to do so again. But whose hand will hold the sword? Who will forge it? And is there even a hand capable of holding it? Is there a people? Or is its backbone broken, and the hand lies languidly along the body and cannot even move? 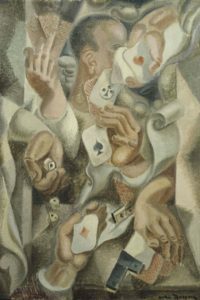 Card trick by Andre Masson, 1923. Russia as a country is very much alive. It is possible to create new and large social communities within it. But if the state ceases to exist tomorrow, then these communities will not have time to form. A mother carries a baby in her womb; she might drink and do God knows what else; she might be sick, but if she dies not in two years, but in eight or six months, then the baby is not born. 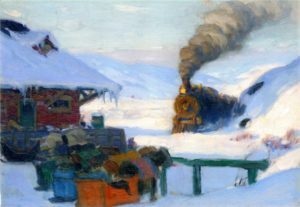 The Train, Baie-Saint-Paul by Clarence Gagnon, 1922. Let us take another look at what is happening in Libya and in the rest of the world. I now want to simply emphasize: what we are seeing is the collapse of this world, not just individual acts of injustice being committed. Any moral person can think about this. The world is being turned in a direction, which is incompatible with life for Russia. And it is no longer possible to march “to the beat of a different drum.” If Russia has no place in this turn of events, but we want it to have a place, then we need to turn not the Russian process, but the global process in a different direction. The Russians once again face the task of saving themselves and the rest of the world. They still have the capability to turn the entire global process through a heroic effort. 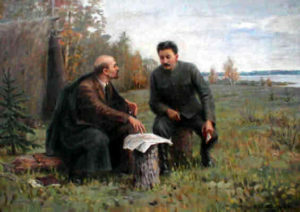 Lenin and Stalin in the summer of 1917 by Ivan Vladimirov. 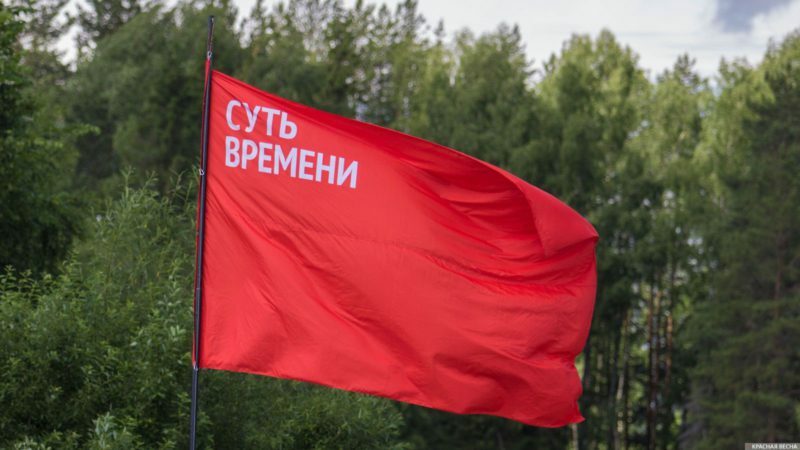 This whole “struggle” against communism, against all that is Soviet, against Stalin’s legacy, of course, is part of the activity by a great submarine of neo-Nazism, which is surfacing from the bottom, which is restructuring the world. It needs to remove the last obstacles in its path. 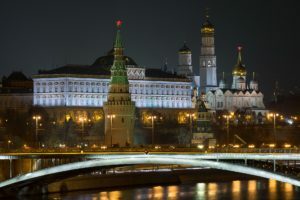 It sees that Russia is still on the world map, that it is still a living entity, which is capable of countering these plans. It wants to bring Russia to ultimate destruction. This entry was posted in Articles, Books, Essence of Time and tagged Communism, Essence of Time, Russia, Sergey Kurginyan, USSR. Bookmark the permalink.